In today’s world, choosing the career which we want to pursue is the most difficult thing. All the students face difficulty in deciding the right career for them. Most of us do not know what we are good at and end up choosing the wrong option for ourselves. Making the right decision at the right time is essential to do well and live a happy and contented life. We should always follow our heart and dreams, as this is the only way to attain peace in life. And, if you are interested in science and want to do well in life then, you can always go for MBBS. Nothing can be as great as being a doctor. MBBS is a great course which is not only going to help you in future but with it you can also help others by saving their lives. MBBS stands for Bachelor of Medicine and Bachelor of Science. Which is the Best University to study Medicine? The best university to study medicine is Kazan State Medical University. The University is located in Russia and is one of the most renowned universities in the world. 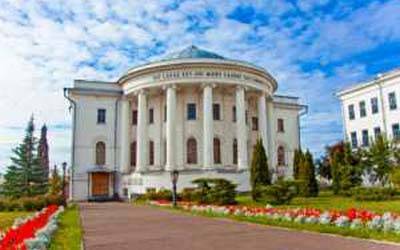 What makes Kazan State Medical University the Best? The quality education offered at the university makes it stand apart from rest of the medical universities in the world. The Kazan State Medical Universityis almost 200 years old and from those times imparting best education to the students from all across the world. It is a state institution for higher education which is multileveled and multifunctional. It holds the 16th position in all the medical universities which come under the Russian federation. It is a preferred location of international students to pursue higher education. And, the best part is that the university offers the same education to all the students, no matter from where they belong and what religion they follow. They treat every student the same way. The university also provides hostel accommodation to international and faraway students. The university has 6 hostels to accommodate large number of students studying there. There is an availability of two-seater rooms and three-seater rooms, students can decide as per their choice and convenience. The rooms are well-furnished, comfortable and have all the basic facilities. The internet connectivity is present throughout the hostels. And, the best thing is that the hostels are closely situated to the colleges. Hostel students are under police protection 24/7. Kazan State Medical University helps you shape your future in the right direction. The university pays attention to the needs of the students. With studies it also provides other fun and recreational activities to the students, so that they can learn in a better way. The university also runs camps for students in holidays, so that they can spend the leisure time in the university campus during vacations. The fees of the university is feasible and in your budget. So, now study in one of the best universities of Russia in an affordable price.